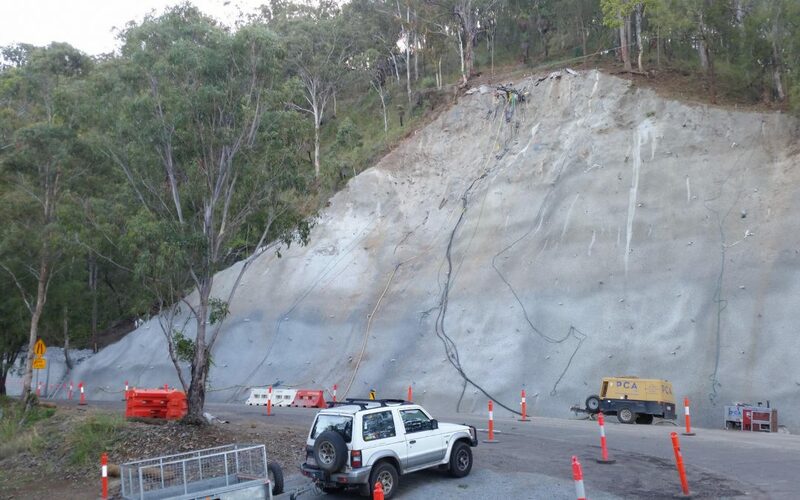 With the road works coming to an end we are seeing the ‘finished product’ in some areas. We have maintained an active role in the road works, and have attempted to gain as much info as possible and exercise our knowledge of the road when we are talking to the various workers. Some times that pays off. Sometimes not. Two nights ago the road works started at Site 55. This is one of the sites close to our house and adjoining our property. 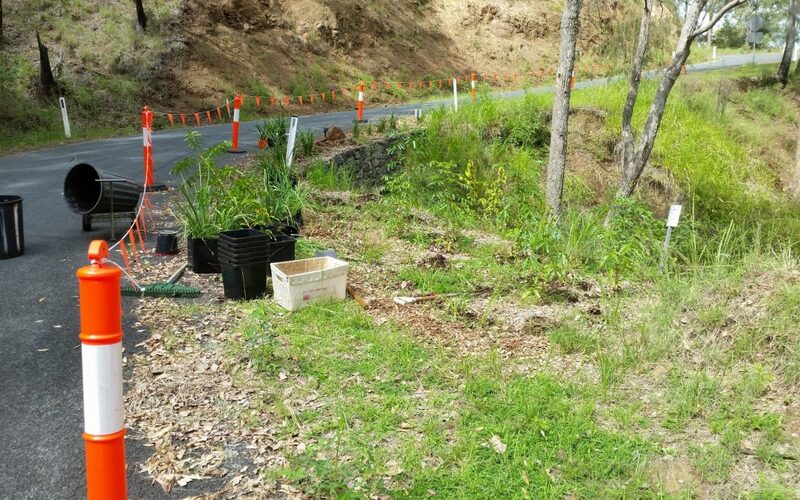 The damage to Lamington National Park Rd caused by ex-Tropical Cyclone Debbie is still being repaired. It has been 12 months since 400mm+ rain fell here in ‘Upper’ Cainbable. 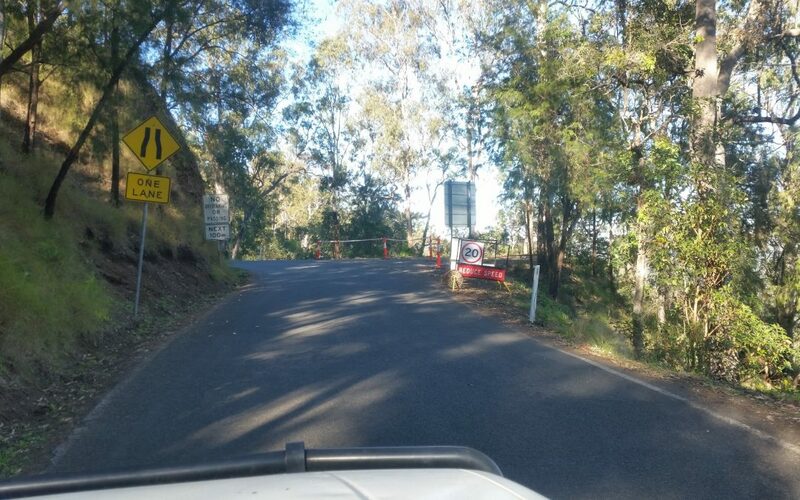 Work is still ongoing along large parts of Lamington National Park Rd, and the DTMR and their contractors are about to start repairs on a number of sites close to our property. 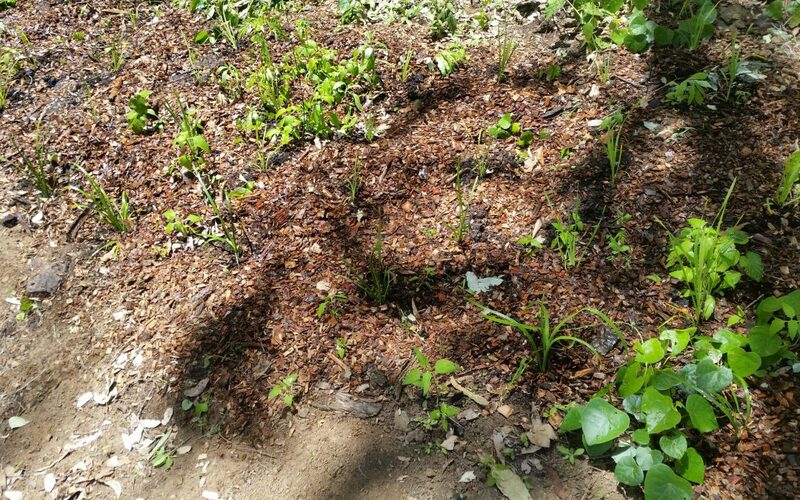 Unfortunately this means we will have to pull-up some of our road plantings that are in the repair areas. 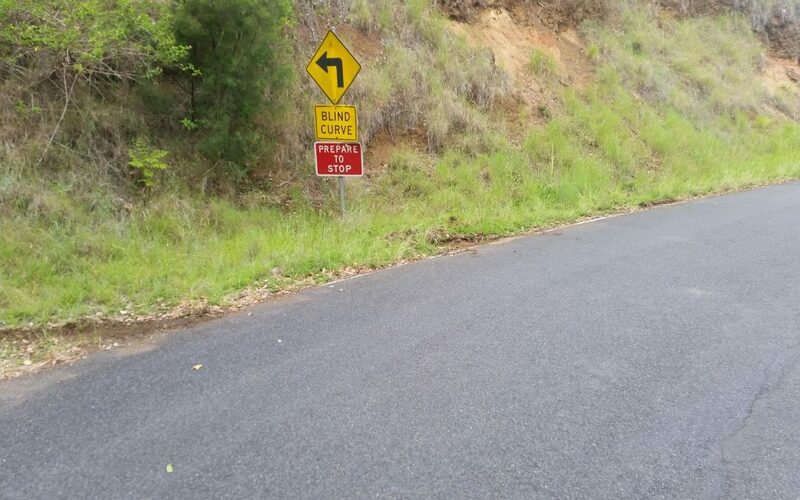 After Cyclone Debbie(March/Apr 2017) we had various areas of the road side that had been damaged. 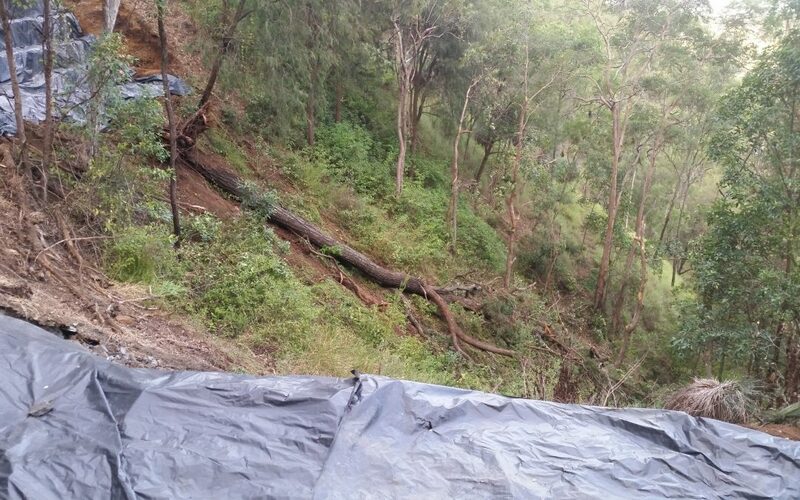 We undertook to plant many of these areas in order to strengthen them and prevent further washouts. This was another gully needed some planting to help hold the ground in place. 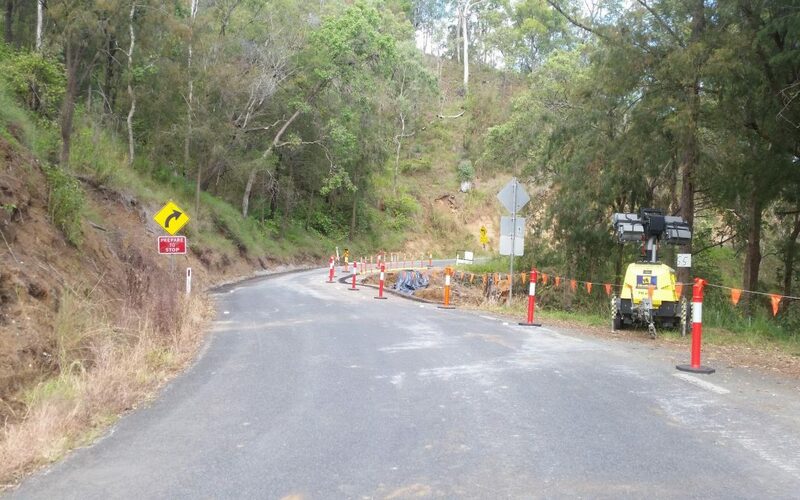 Serious road works on Lamington National Park Rd(LNPR) are about to start. The road crews have started moving in and the speed limit on LNPR has been decreased – severely! What we have discovered over a short period of time is that the road plays a big part in water delivery and flow over our property. 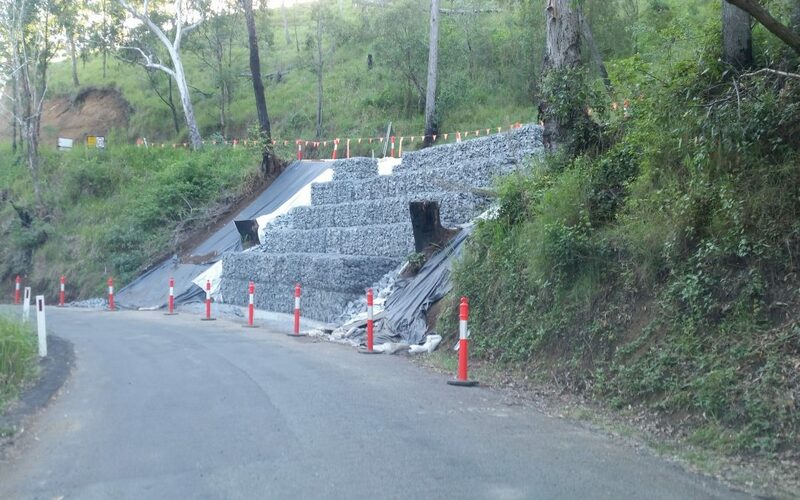 So we do ‘work’ on various bits of Lamington National Park Rd which runs above Arborlon. Running alongside about 5km of our property’s boundary is Lamington Nation Park Rd. 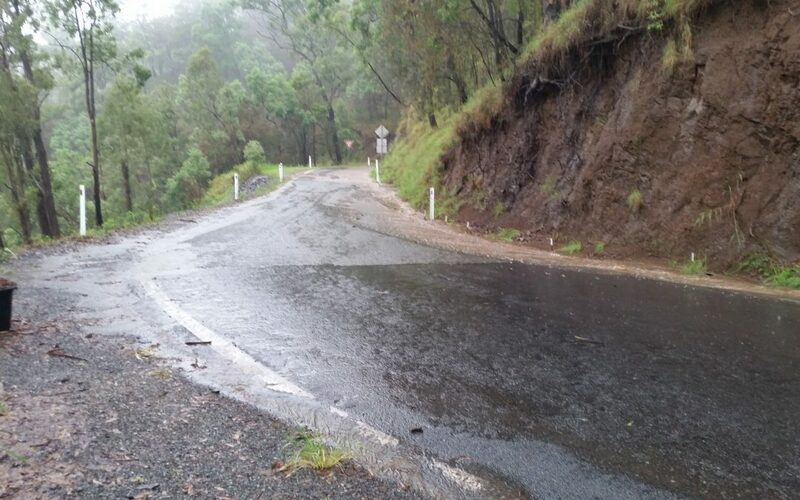 This long windy road leads from our local town Canungra up the mountain to the Green Mountain section of Lamington National Park. There are things we dislike about the road – eg: slow traffic, but there are many more things that bring us a little joy and comfort on the road to. 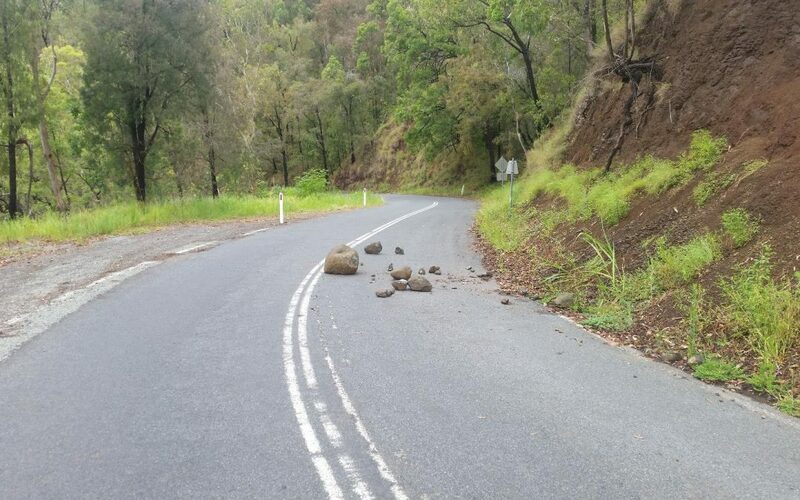 After the first big rain we had here since arrival, we have a new respect for the road above our property. Respect may not be the right word, but we definitely understand it more and what it’s impacts are on the surrounding environment. David and Shionagh left the suburbs of Brisbane and moved to 50 acres on the side of a mountain in the Scenic Rim of South East Queensland. No image may be reused, resold or copied without express written permission of the copyright holder.